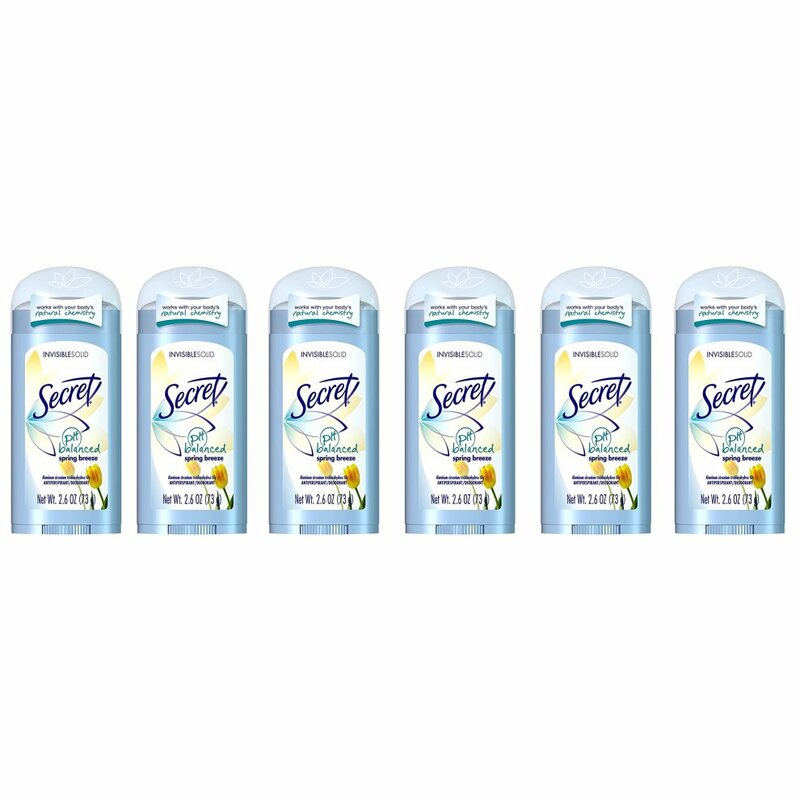 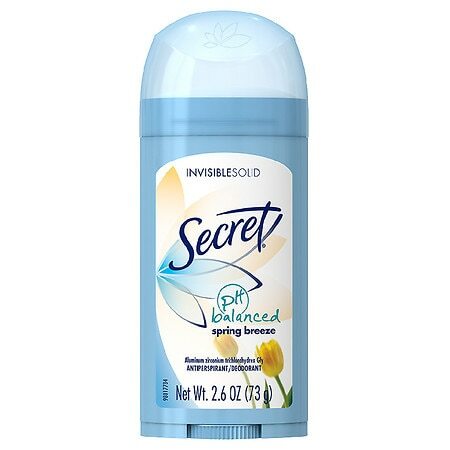 Secret Anti-Perspirant Deodorant leaves you feeling fresh and dry all day. 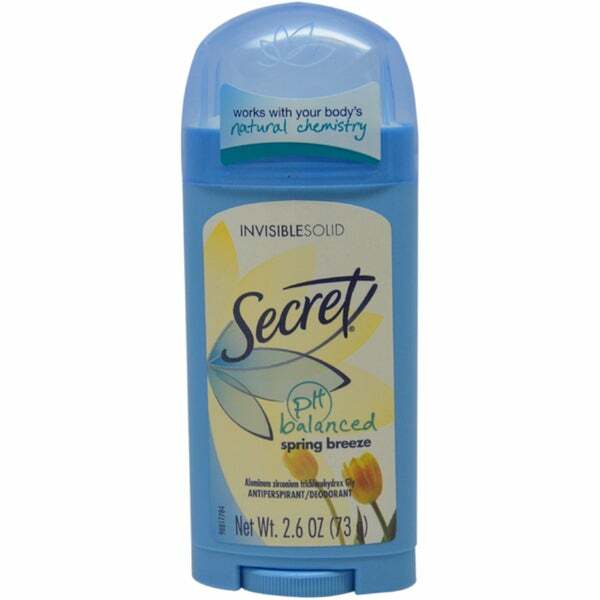 Secret Anti-perspirant Deodorant Strong protection goes on clear Smooth and lightweight Skin nurturing conditioners Continually renewing fragrances Reduces underarm wetness Apply a thin layer to underarms only WARNINGS For external use only Do not use on broken skin Stop use if rash or irritation occurs Ask a doctor before use if you have kidney disease Keep out of reach of children If swallowed, get medical help or contact a poison control center right away Active Ingredients: Aluminum Zirconium Trichlorohydrex GLY (19%) (Anhydrous) Inactive Ingredients: Cyclopentasiloxane, Stearyl Alcohol, C12-15 Alkyl Benzoate, PPG-14 Butyl Ether, Talc, Hydrogenated Castor Oil, Petrolatum, Phenyl Trimethicone, Fragrance, Mineral O. 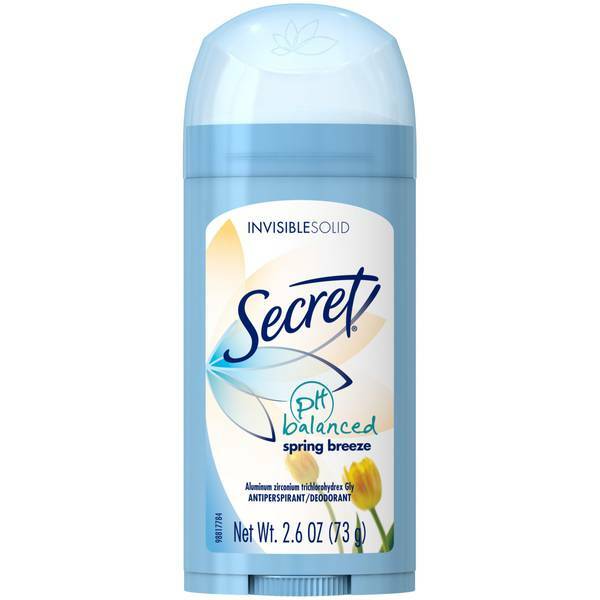 Secret Antiperspirant & Deodorant Invisible Solid Spring Breeze - 2.6 oz.